We were very pleased with Dana’s expertise and professionalism. We will not hesitate to seek her services again in the future. We highly recommend her to others considering sell. She is knowledgeable, professional, and a gracious and delightful person. We were delighted to have her represent our interests. Sold a Single Family home in 2015 for approximately $700K in Mission Viejo, CA. This is a huge thank you in appreciation for your efforts in the successful sale of my home. Dana Ortiz took the initiative in a professional, calm manner in making recommendations and suggestions to better show my home. She was always knowledgeable and considerate of my needs. Her hard work, dedication and guidance through the negotiations made the whole process simpler. I am so very pleased to recommend Dana without hesitation. Bought a Single Family home in 2015 for approximately $800K in Laguna Hills, CA. We loved working with Dana! She came recommended to us and we were very impressed. She was knowledgeable, personable, patient, and very helpful in explaining all of the forms and codes. She had great follow through and was very thorough. We would work with her again any day and highly recommend her to others. Sold a Single Family home in 2014 for approximately $675K in Mission Viejo, CA. Our experience working with Dana was wonderful! 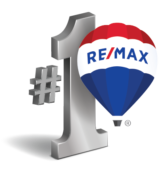 Dana is extremely knowledgeable of the local market, very professional, very thorough, and has a great eye for detail. From discussing the big decision to sell our home, to staging our home, to making trips over to our home to check in on us throughout the process, we couldn’t have asked for better people to work with. We consider Dana a friend now and look forward to working with her again in the future. Sold a Condo home in 2014 for approximately $425K in Mission Viejo, CA. Working with Dana is a wonderful experience. Her knowledge and expertise in Real Estate is amazing! She is thorough and conscientious. She makes you feel secure and that everything is taken care of from beginning to end. I bought and sold my townhome with her and she will be my realtor for the next one! Bought a Single Family home in 2013 for approximately $650K in Laguna Niguel, CA. This is our 3rd transaction with a home and have had experience with other realtors in the past. Dana was a standout. Well into the spring of 2013, we began the search for a new home to buy. We had a special situation in which we were overseas and 11 hours ahead of P.S.T. Prior to working with Dana, we had screened other realtors, many of whom were very eager to work with us. It was clear that Dana was the realtor to work with. We went on to having Dana assist us in leasing our house. Dana immediately stood out in the initial screening process for a realtor. She offered a very detailed and proactive strategy with a rough timeline for short goals, unlike many others who seemed to be in a race to just show us houses without a thorough plan for strategy. Dana was proactive about prepping us for the next stages to come, so that we could be as aggressive and act as fast as possible in the minute by minute real estate market at that time. She knew we had to have our ducks lined up and to act fast. She offered a few suggestions to help us stand out in our offers to sellers, which I believe worked beautifully. With Dana, we felt that we were truly heard through every step of the process. Dana has a gift of listening and coming to a detailed understanding of what it is that we desired at each step: selection criteria for a house, preferences in our offer, what was most important to us during escrow, what type of lease we preferred, and so on. Throughout the process, she was not shy to give her professional opinion and advice, but also did not impose her agenda on us. Dana had educated us and gathered the information we needed in order to make an informed decision. Dana knows how to balance offering their expertise and respecting our wishes without judgement. We never felt that they had their own agenda to push. It made for a very comfortable and respectful partnership. Dana was able to orchestrate each transaction every step of the way with mastery and attentiveness. We were 11 hours ahead, and Dana responded immediately with every communication. It went without a hitch. We did not expect her to, but she would often communicate with us well into her evening and early in her morning. She was available nearly all her waking hours. We were able to conduct most our transactions seamlessly via electronic signature. The transactions went very smoothly. Not one thing was overlooked. Dana thought of every detail and on top of that exceeded our expectation in every way- helping us set up utilities, finding us a housekeeper, printing up booklets for our tenants, and so forth. She is kind, ethical, professional, delightful and effective. Dana always kept our best interest in mind, protecting us from any potential risk to us. We give Dana our highest recommendation and would without hesitation, work with her again. Bought a Single Family home in 2012 in Lake Forest, CA. Dana helped us find and view many properties during our search, and was extremely patient while we learned the process. She took the time to explain the steps of buying a home, and helped our understanding of the ever-changing housing market. When we came upon a property that fit our needs, desires, and budget, she negotiated a lower price and quickly processed the offer and other paperwork which landed our purchase. Dana is a highly conscientious and ethical professional who knows her industry well. I’d recommend highly to any home buyer. Found a tenant for a Single Family home in Laguna Beach, CA. We had contracted with a different realtor to find a tenant for our condo – they did next to nothing for 6 months. After the contract expired, we hired Dana and within 3 weeks we had the choice of 3 very good applicants! We now have super tenants! She continues to manage the property and takes care of any issue quickly & professionally. Helped me rent a Single Family home in Mission Viejo, CA. My association with realtor, Dana Ortiz, is both professional and personal. Professionally she is has an expert in the real estate market that provides her clients with the best service. Finding a home for our family was her priority and she was diligent in finding the right place for us. I wouldn’t hesitate to refer her to my friends and family. Sold a home in 2003 in Laguna Woods, CA 92637. Dana is a very professional agent. It’s not all agents that when you call her you can expect her to answer her phone. Most agents will let it go to voice mail and MAYBE call you back later. She is professional in her appearance and ethics. She works WITH you NOT FOR you. She never makes you feel like you are bothering her and does not pressure you to make a decision you are not ready to make. I highly recommend her for anyone that is anxious to sell or purchase a home.